﻿ DMX Decoder Series - SEEKWAY TECHNOLOGY LTD.
· Advanced transformation technology. SPI output signal controls LED driver chip which based on compatible design. 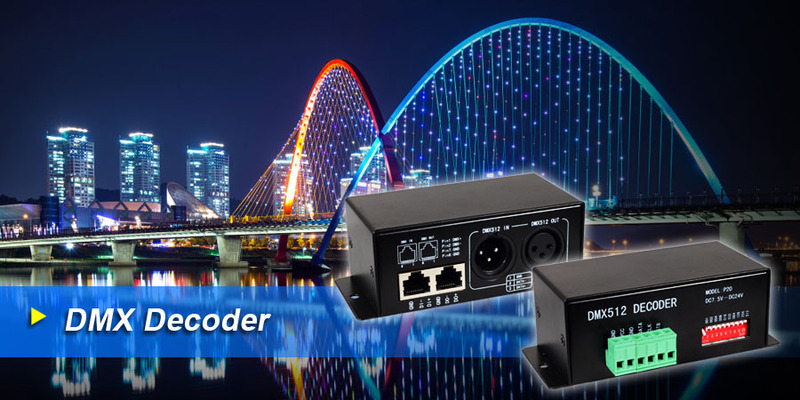 · The general LED lighting can be controlled by DMX512 control system through the decoder.